If, like me, you tend to want to know more than you can possibly read about, a sudden urge to learn about, say, Abraham Lincoln or Charles Darwin can be an occasion for despair. The literature on such seminal figures is vast and expanding, like an Everest that’s getting bigger. Or the universe. In short: intimidating. So to come across a book like Adam Gopnik‘s Angels and Ages: A Short Book about Darwin, Lincoln, and Modern Life is a bit like finding that the Himalayan authorities have installed a ski lift just for you. We’re super lucky to have Adam Gopnik joining us for the House of SpeakEasy’s opening gala at City Winery NYC on January 27. A long-time New Yorker contributor and three-time winner of the National Magazine Award for Essays, he has that forensic gift of the great essayist, the uncanny ability to see Aquarius where others see just stars. In Angels and Ages, recognising that his choice of subjects prohibits definitive coverage, he unspools his elegant premise from a single (but fertile) line of inquiry: the debate over what Edwin Stanton said at Lincoln’s deathbed. Stanton was Lincoln’s secretary of war and as close to the president as any man. It was natural that those present at the great man’s deathbed would turn to him for words of solace as Lincoln breathed his last. And he didn’t disappoint, murmuring the solemn but simple line, “Now he belongs to the ages”. But hang on — maybe it wasn’t “ages” at all; did he maybe say “Now he belongs to the angels” instead…? in those years […] there’s a nascent sense throughout the liberal world that the deaths of young men in war will never be justified in the eyes of a good God, and never compensated for by a meeting in another world. Their deaths can be made meaningful only through a vague idea of Providence and through the persistence of a living ideal. Gopnik outlines the two men’s lives from their births just hours apart in 1809. Although there are few superficial similarities between their biographies, both lost a child, and Gopnik makes much of the doubt that these cataclysmic losses must have conferred upon them: “It called them both to seek some form of transcendence, some meaning beyond the human cycle of breathing and eating and dying, even while resisting the supernatural meanings of faith”. Both, in their actions, moved away from a vertical view of life, with God above and hell below, to a horizontal view, which consoles through the understanding it offers of our ancestors and of our future. [their] styles have in common the writer’s faith in plain English, his hope that people’s minds and hearts can be altered by the slow crawl of fact as much as by the long reach of revelation. harmless acts of observation built the coral of natural science, which became the jagged end of objectivity, a sharpened tool. The gentleman’s hobby, the fusty naturalists with their notebooks, produced an incontrovertible mass of fact. Pettifogging observation made the antibodies that immunized theory against a fatuous dismissal. The birds differed; the bugs had adapted; the bones were there. The “aphoristic gift” Gopnik ascribes to John Maynard Keynes and Samuel Johnson is one he shares, and much of the pleasure of reading him can be found in his ability to condense, synthesise and re-present to give one the full benefit of his reading and analysis. 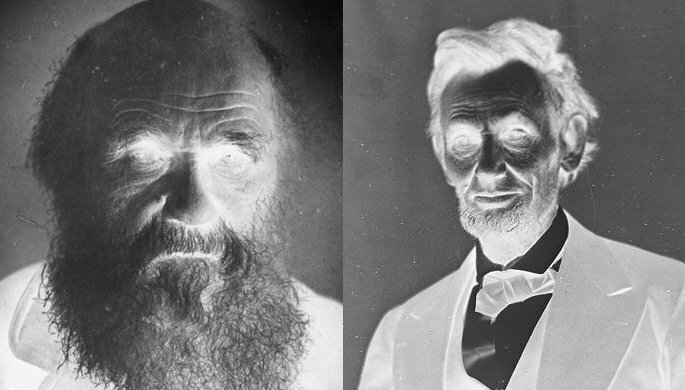 The debate over whether Lincoln is for the angels or the ages ends up playing second fiddle to a much bigger story: western consciousness’s transition from a way of life that considered the angels to one concerned principally with the ages. It’s a huge subject perched atop two other massive ones. Gopnik’s achievement is in detailing just enough to persuade but in such a way that to unpack his argument would be to spin off in a million new, but parallel — and supportive, directions. Join us on January 27 to hear more from Adam Gopnik on our theme, “Plays with Matches”.